Sergio Leone, who very early in his career served as a production assistant to Vittorio de Sica for Bicycle Thieves (1948), started off directing low-budget “sword and sandal” (aka peplum) epics in the late 1950s for the Italian film industry. But in 1964 he switched genres with his A Fistful of Dollars, which was set in the American Old West. The extraordinary success of that film launched the ensuing craze of the “Spaghetti Western”, of which Leone was the acknowledged master. 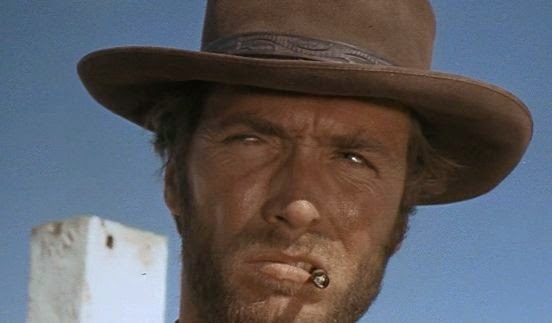 Leone went on to make two sequels to A Fistful of Dollars – For a Few Dollars More (1965) and The Good, the Bad, and the Ugly (1966) – and together they are referred to as the “Dollars Trilogy” or the “Man With No Name Trilogy”. All three films were very successful, but I believe the second production, For a Few Dollars More, is the best of the three. A Fistful of Dollars was more or less a direct copy of Akira Kurosawa’s Yojimbo (1961) but recast into a Western setting, and while it was entertaining, it was inferior to Yojimbo. 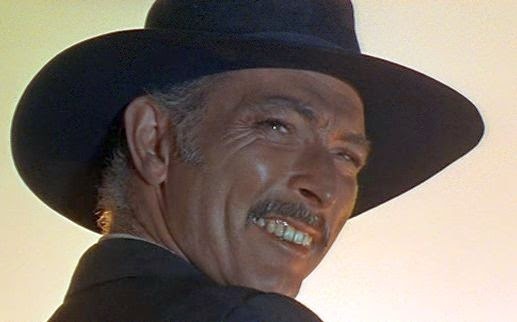 The two subsequent “Dollars” films offered intensifications and exaggerations of Leone’s stylized dramatic techniques, but by the time we get to the third one, The Good, the Bad, and the Ugly, things have become somewhat overcooked and reached the level of slapstick. For me, it’s the middle one in the series, For a Few Dollars More, that stands tallest. Note that all three “Dollars” films display something of a casual, even cynical, attitude towards the American Western genre to which they belong. The surreal level of violence and the mounting body count in these films are not suitable for all tastes, even if the “bad guys” get what they deserve. Indeed, New York Times film critic Bosley Crowther was highly critical of the almost adolescent depiction of violence in the film . In order to enter into the fantasy world of all three films (and For a Few Dollars More in particular), one must suspend one’s normal sensibilities about killing and true-to-life realism, as if one were watching a sci-fi or horror film. For a Few Dollars More tells the story of two professional bounty hunters who compete to collect the reward for the capture or killing of a notorious outlaw. One of the bounty hunters is “The Man With No Name”, again played by Clint Eastwood, who was the principal character in A Fistful of Dollars. 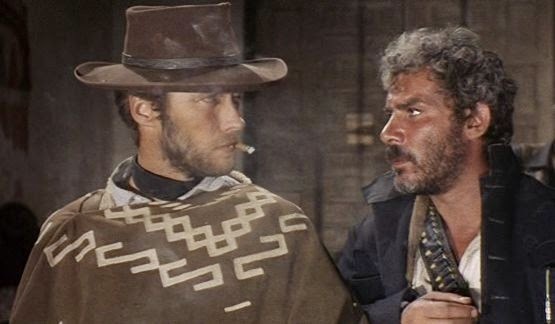 In that respect For a Few Dollars More is a sequel, but there is otherwise no narrative connection in this film to the earlier film. Manco (Clint Eastwood) – a bounty hunter and known to the screen public as “The Man With No Name”. El Indio (Gian Maria Volonté) – his name in Spanish means “The Indian”, and he is the ultimate bad guy. Juan Wild, the Hunchback (Klaus Kinski) – a minor member of Indio's Gang. Kinski would later achieve fame in some Werner Herzog films, such as Aguirre, the Wrath of God (1972) and Nosferatu the Vampyre (1979). This is not his name, but merely a soubriquet which means “the one-handed man”, since Manco does almost everything with his left hand. He keeps his right hand shielded by his serape so that at first one wonders as if he is paralyzed on the right side. But when he draws and shoots his gun, he uses his right hand to deadly effect. Manco is intuitive and a perceiver, who delays action until the last second, at which point he becomes lethal. Mortimer is about twenty years older than Manco and is a thinker. In fact, though Manco is the presumed hero, it turns out that Mortimer is smarter, more thoughtful, better equipped with weapons, and a better shot. He seems to be superior to Manco in every way. Neither man is very trustful, but it seems that Mortimer is more trusting of Manco than Manco is of Mortimer. Another key aspect of the film is Leone’s cinematography and overall mise-en-scene. The settings look realistic enough for some Mexican border villages, but the exteriors were shot in Almeria, Spain, and the interiors in the Cinecitta studios in Rome. Leone uses picturesque long shots to set the scene, and then varies the pace by building up the tension as one of the many tense confrontations takes place between mutually hostile characters. Leone draws out the tension in each of these scenes by showing tight close-ups of the contestants and the onlookers. We are expecting extreme violence in these scenes, but we have to wait as the tension mounts on each occasion. Since these confrontations are key to the film, I will label them as C1, C2, . . . in the following. The overall narrative goes through four basic acts that tell the tale. In the first act, we see Mortimer hunt down and kill a wanted man so that he can collect the $1,000 reward. This is confrontation C1. The man Mortimer kills looks inhuman, more like a rabid animal, and this presumably serves as Leone’s “gentle” introduction to the bloodshed that will follow (roughly 30 people will be killed in this story). Mortimer is supercool and displays his deadly marksmanship. In the following scene, Manco comes into a small town and finds his bounty target in a saloon. Again there is a slow buildup before Manco dispatches the wanted man and his three henchman with a few quick shots in confrontation C2. For this he gets a $2,000 reward. Up to this point we have been presented with two ruthless killers, and these are supposed to be the “good” guys. So their target, the third principal, has to be much worse than these guys for our sympathies to be in the right place. And Leone meets those requirements by depicting “El Indio” as an utterly sadistic psychopath who delights in the suffering he inflicts on others. Indio is initially shown being sprung from prison by his outlaw gang, and in the process, he cruelly kills his cell-mate (C3), who had earlier given him the secret of where all the money was stored at the famous El Paso bank. Once out of prison, Indio captures another bounty hunter (not Manco or Mortimer) who had sent Indio to prison, and he then has this man’s wife and infant child exterminated in front of him. Then Indio finishes him off, too, by conducting what is apparently his killing ritual: a mock duel (C4), whereby he starts his musical pocket watch playing a brief tune, the ending of which will signal the time for annihilating his victim. 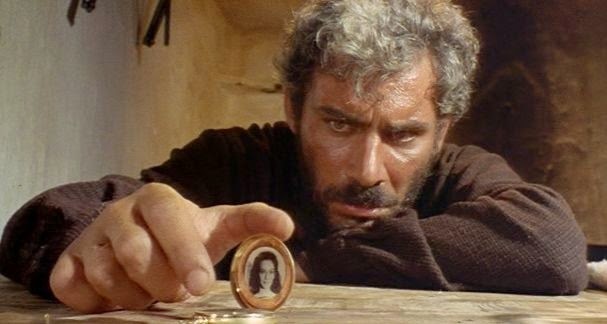 Leone builds up the tension during this sequence by showing 18 successive extreme close-ups of various participants and onlookers during the period that the pocket-watch music is playing. Indio’s musical pocket watch ritual will be repeated, and we eventually learn via brief flashbacks that it is associated with an earlier time when he was obsessively in love with Colonel Mortimer’s sister. When he had encountered her with her lover who was giving her the pocket watch as a gift, he killed the man and raped her. But in the middle of his treacherous act, the mortified woman killed herself. Whenever Indio recalls those horrible moments, he drifts into a marijuana-laced haze of madness. When Indio, Manco, and Mortimer variously learn that the well-guarded El Paso bank has the most money in the region, maybe one million dollars, they all head there. Indio goes with the intention of robbing the bank, while the two bounty hunters, knowing Indio’s insatiable appetite, separately go to El Paso hoping to get the $10,000 bounty on Indio’s head. There are two confrontations in this act, but unlike the first four confrontations, they do no result in bloodshed. In the first one, C5, Mortimer intentionally insults one of Indio’s men, the hunchback Juan Wild, but despite sinister glares, nothing comes of it. In the next confrontation, C6, Manco discovers that there is another bounty hunter, Mortimer, who is after his quarry, and he tries to force him out of town. This results in a life-threatening display of marksmanship between the two, as they shoot off each other’s hats. In the end, they decide that it makes more sense to team up and work together against Indio’s gang of 14 gun-toting desperados. Manco reluctantly accepts Mortimer’s proposal that he join Indio’s gang and work from the inside. This he manages to do, and he is sent off with three other gang members to rob a bank in a nearby town. Once safely out of town, though, Manco kills the other three gang members in another deadly confrontation (C7). When he returns to El Paso, he and Mortimer keep an eye on the bank in hopes of thwarting Indio’s intended robbery. However, Indio’s lightning strike is too well-planned, and Indio and his men make off with the bank’s safe. Mortimer now tells Manco to rejoin Indio’s gang and convince them all to head north. Manco joins them, but hoping to get all the stolen money for himself, he tries to double-cross Mortimer by convincing the gang to head south. Indio has his own ideas, though, and decides that the gang should head east, to the small town of Aqua Caliente. When the gang arrives in the small town, the crafty Mortimer is there too: knowing how evil minds work, he had anticipated everything. Bearing no grudges, Mortimer then helps Manco get through another confrontation (C8) with sinister townsfolk from Agua Caliente by displaying his uncanny marksmanship. Then he has a deadly confrontation with the hunchback Wild in the local tavern (C9). It is difficult to specify exactly what are the elements that make For a Few Dollars More effective. Perhaps it is its strange blend of fantasy, iconic images, and in-your-face engagement. Certainly realism is not the focus. The marksmanship of Manco and Mortimer is impossibly accurate – they never miss, while their opponents almost always do. In addition there is a ridiculous scene in which Manco and Mortimer are caught trying to escape from the gang with the stolen loot and are subsequently severely beaten up. This extended thrashing is so brutal that it would kill any normal person. And yet Manco and Mortimer soon recover and barely have scratches on their faces to show for it. No, what makes the film is the emotional intensity that is generated by the music and the pacing. Strangely, the musical score by Ennio Morricone is an integral and thematic part to the narrative. Morricone was a former classmate of Leone, and Leone would usually have the musical score for his films composed prior to shooting. Then he would have the music played on the set (remember, the film was dubbed) while the film was shot. This may have served as an emotional guide for Leone’s direction and for the acting, too. In addition, the editorial shifts between long shots and sequences of extreme close-ups tend to put the viewer very much inside the action. The overall effect is expressionistic immersion, and despite the lack of literal realism, it can promote a kind of emotional realism. After all, that’s what cinema is about. A final word concerns the role of Colonel Mortimer, played by Lee Van Cleef. We expect that Clint Eastwood’s character, Manco, will be the primary protagonist, but it is Van Cleef’s character that eventually dominates. He is smarter, more skilled, more measured, and more stylish than the rough-hewn, cheroot-smoking Manco. And there are interesting details about his style that one picks up as the film progresses. He wears his gun in a cross-draw position, which would be a slower draw in a duel that requires lightning speed. But in two lethal duels he faces in the film, he just happens to be equipped with a gun at his hip when he needs it. Watch for that when you see the film. Bosley Crowther, “For a Few Dollars More”, The New York Times, 4 July 1967.